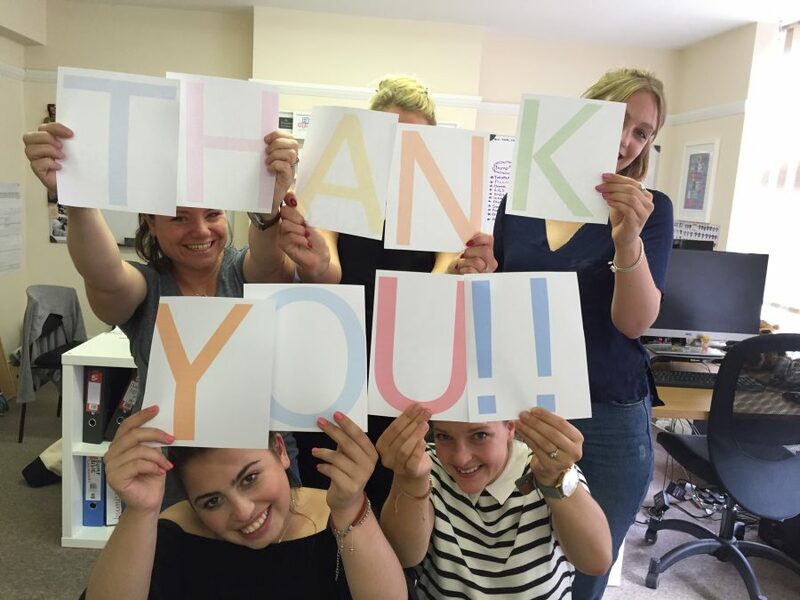 To the wonderful parent bloggers that we work with and the ones we are meeting everyday! Firstly and fore mostly… THANK YOU! Thank you a million times for doing what you do. Thank you for sharing with us this important and special time of your life – for talking openly and honestly about parenting, which no doubt helps others more than you could know. On behalf of the brands we represent, THANK YOU for keeping it real, and creating this unique platform for them to get their product talked about from a real life perspective, used by families and reviewed honestly. This is truly invaluable. Blogging was at the forefront of a dramatically changing PR landscape many years ago and now it is a core part of all the work we do for clients and what a great development it has been! We love your dedication to each and every review. And for those we work with on a more long-term basis, we just love it… It’s so rewarding for us when the bloggers we work with take on their roles as brand ambassadors with such a passion, going above and beyond what is asked of them. That extra support means so much. Now to the community! We love it when you tweet us and get involved in our #BumpDaily discussions on Twitter. Lisa is especially thankful and so grateful for all the love you showed her during her pregnancy and especially when Toby, our little office mascot, arrived last year! She so enjoys sharing her #bumpsbaby antics with you all. It’s just amazing how the blogging community, as diverse and vast as it is, has such a close network – the support between you all is great and so helpful when we are trying to find the right bloggers for projects. Well as we said that was a whole lot of thank yous! And now to the Bloggers that approach us! We absolutely love hearing from bloggers we are yet to work with! We always check out your blog as there is nothing better than finding a new blog to read. We love it when you’ve clearly considered details that will be helpful to us (a link to your blog, social media pages, your blog’s unique monthly views, and your children’s ages/due date). We try to work with as many bloggers as possible, so please do provide this information as it helps us. Finally we owe some of you an apology – We are so sorry if we don’t get back to you straight away – We’re just a small office of 6, busily working for lots of lovely brands… we always check our emails, but may sometimes take a day to get back to you. We aim to do so within 24 hours, but sometimes (especially after a twitter call out!) we are simply inundated. We will always get back to you, as you are truly key to our work. So… We just wanted to put our appreciation into words – you guys are great and we love working with you all… thank you! ! Those of you that have been around for a while and might remember our blogger party, we feel it is about time we plan something similar soon – so watch this space!